Dr. Bobby Vijay graduated from the University of Pennsylvania School of Dental Medicine with a DMD in 2005. Dr. Vijay earned his postgraduate education from the New York Presbyterian Hospital/Cornell Medical Center and Memorial Sloan Kettering Cancer Center. He practices comprehensive dentistry with a focus on cosmetic, restorative and preventive dentistry. He is affiliated with New York Presbyterian Hospital as an attending faculty and with Weill Cornell Medical Center as an associate professor. In addition to teaching, Dr. Vijay takes continuing education courses to keep up with the latest advances in dentistry. 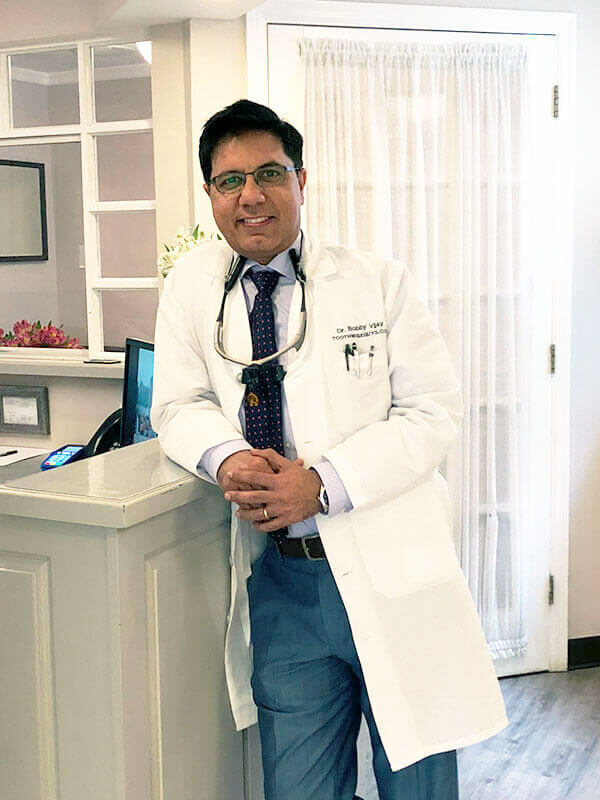 Dr. Vijay is actively involved with several national and local dental organizations which include the American Dental Association, American College of Dentists, New York Academy of Dentistry, New York County Dental Association and New York State Dental Association. He has been involved with teaching dental ethics to students at New York University College of Dentistry. He is also an active member of the ethics and membership committees at the New York County Dental Society. Dr. Vijay has been honored by Donated Dental Services program for volunteering to treat several patients with special needs. He has also rendered treatment to the US Marines with Reach-Out Healthcare America. Dr. Vijay is an Invisalign Preferred Provider and is certified to administer Botulinum Toxin (Botox) by the American Academy of Facial Esthetics for TMJ related disorders. He takes pride in taking thorough care of all his patients.